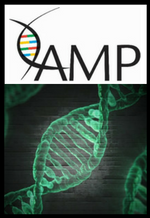 Since its formation in 1995, the Association for Molecular Pathology (AMP) has been the premier showcase for remarkable technological advancements in the field of molecular diagnostics. The show has seen the evolution of nucleic acid testing from HIV viral load testing in 1996 to a CLIA waived PCR-based strep test in 2015 to the current day explosion of library preparation kits, advances in Next Generation Sequencing, and data management. The show also facilitated key partnerships enabling significant clinical diagnostic product launches. Point of Care (POC)/miniaturization: Molecular diagnostic platforms continue to follow the lead of other core diagnostics products that have evolved into the POC space with rapid turnaround and reduced platform size. Several companies showcased their POC products at AMP 2016, including established point of care veterans (e.g., Alere and Cepheid), and newcomers alike, with multiple sessions also centered around this topic. GenePOC displayed its sample to result POC instrument delivering infectious disease results in <1 hour. After several years in clinical development and clinical studies, Great Basin Scientific launched its fully integrated benchtop infectious disease diagnostic platform, featuring a multiplex disposable cartridge which delivers up to 64 targets from one sample for more diagnostic information per sample. With the completion of two clinical trials in 2016, the company debuted its second multiplex panel for Stool Bacterial Pathogens Panel (Salmonella species, Shigella species, E.coli species, and Campylobacter species) to assist hospitals in detecting common bacterial agents suspected of causing acute gastroenteritis. Next Generation Sequencing (NGS): With dozens of workshops and scientific sessions focused on the broadening applications for NGS, it was evident that its role in the clinical space is becoming a reality. The reduced turnaround NGS offers, provides a unique advantage in the fields of oncology, microbiology, virology, genetic testing, and others relative to traditional sequencing methods. The Beckman Coulter molecular group showcased its molecular acquisition, Agenccourt, with Biomek DNA and RNA sequencing library construction methods for NGS. Oxford Gene Technology featured its new SureSeq myPanel NGS custom Familial Hypercholesterolemia (FH) panel during its corporate workshop, while Fluidigm’s workshop highlighted its new Juno Targeted DNA Sequencing Library Preparation System, which boasts reduced cost (-60%) and hands on time (-50%) and increased sample throughout (2-4x). Data Management for NGS: The massive volume of data coming out of the Next Generation Sequencing instruments has spawned the birth of companies which offer organization of disparate data into digestible data, annotating variants of relevance. Of note at AMP 2016 was Molecular Health, offering solutions to turn data into clinically actionable knowledge improving clinical outcomes, and packaging biomarker data into customizable reports for clinically actionable results. Digital PCR (dPCR): Digital PCR has continued to make a splash over the last few years, with AMP 2016 featuring the launch of RainDance’s Raindrop Plus instrument, which offers a 67% reduced detection time and double the output. Additionally, the company highlighted the new AutoGates capability of its RainDrop Analyst II v.1.1 automated analysis software, which removes subjectivity associated with manually gated data and helps streamline turnaround time. RainDance’s sponsored workshop touched on the benefits of dPCR with NGS for assessment of mutations that require rapid turnaround. Companion Diagnostics (CDx): With pharmaceutical companies such as Bristol-Myers Squibb and AstraZeneca exhibiting this year, it was clear that the movement toward personalized medicine and companion diagnostics is accelerating. Partnerships between diagnostics companies and pharma will continue to be critical for the development of CDx that provide more actionable information to guide patient treatment plans. An AstraZeneca-sponsored workshop discussed the expanding use of computer algorithms in daily practice to inform treatment decisions in oncology, as well as the growing collaboration between oncologists and pathologists and the need for quality bioinformatics. Tissue diagnostics sample prep: With the majority of CDx tests being performed on tissue specimens, AMP has also become a showcase for new products in this area. Beckman Coulter’s Biomek sample prep products for Formalin Fixed Tissue for DNA and RNA isolation to facilitate biomarker tests which have the potential to evolve into CDx assays were on display. The Beckman Coulter Life Science division developed a FormaPure DNA FFPE Extraction kit offering an impressive 15-minute extraction versus other manual methods which require 10x more hands on time. Mass Spectrometric Imaging for Tissue: Brukker introduced a groundbreaking research application, enabling anatomic pathologic tissue samples to correlate to molecular phenotypes utilizing Maldi Mass Spec. The image capture method discriminates morphology on a slide from connective tissue to tumor to inflammation with 3D software enabling quantitation of a previously visual pathology measurement. This is a very exciting platform to watch in the future, as it will allow for a tissue sample to be interrogated for information not previously available. As the molecular diagnostics market continues to advance, AMP continues to accommodate the growth. With 230 exhibitors in 2016 and an expansive exhibit hall, the conference will remain a key showcase for additional advancements to come. On a personal note, the 2016 AMP conference brought with it a new perspective for Market Ready Rx. As our first time exhibiting at the show, we had the privilege of interfacing with laboratorians, manufacturers, consultants, and other exhibitors. We are excited about the ways in which we can support companies within the molecular diagnostics space to bring life-changing products to market. 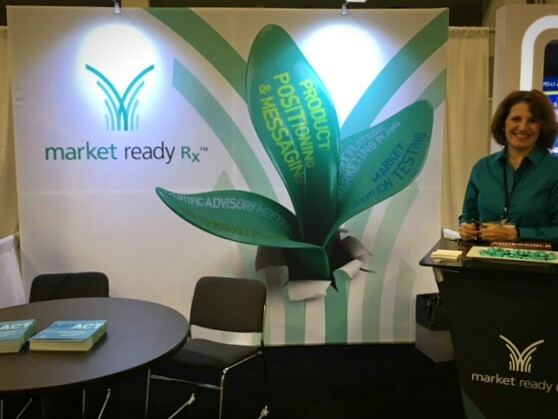 Learn more about how we can support your work, visit Market Ready Rx. Contact Market Ready Rx for more information on how we can support your molecular diagnostic product go-to-marketing planning.